It's here. You've dreamt of this day since a little girl! If you're anything like me, you already knew WAY beforehand the colors, the types of flowers you like, even some of the music...what you might not already know is... the PHOTOGRAPHER! Well, look no further! 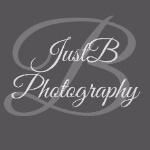 At JustB Photography, we LOVE love! But more so, we love getting to share the most important day of your life with you, capturing memories of the love and joy the day holds! As wedding photographers, we know that it's about what the BRIDE wants... and we are here to serve YOU! We strive to spend the day serving you, being exactly where you need us when you need us, and making the day as relaxed and fun as possible! We believe candids are just as beautiful as the posed images and will alternate between posing you and simply letting you JustB! Weddings are one of our most favorite days to get to capture and we are honored each time a Bride trusts us with the job! I promise that we will go above and beyond to freeze time throughout the day as we capture printable memories that you can cherish forever! You can go ahead and check "Find Photographer" off the list and move on to the next important detail! ;) To schedule a consultation, you can contact us here. We look forward to meeting you, hearing your love story and starting the journey to planning the perfect images you will to want to hang in your new home! And, who knows? Since JustB Photography is a "SeBride Wedding Soiree 2016 Member", you just might see some of YOUR wedding portraits in the next SeBride Wedding Magazine!